This rustic style necklace is Native American-inspired and will accessorize your look with something right out of history. It has a natural appearance with different color beads, faux leather straps, and colorful feathers. 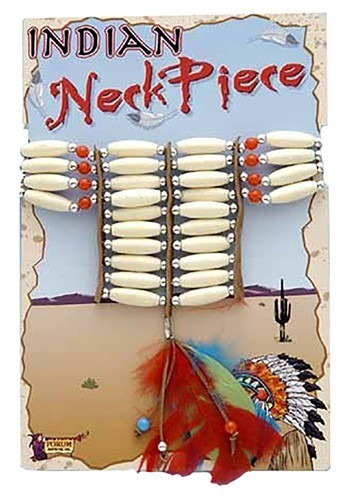 There are long white beads with a few red beads and the faux leather strips separate the different rows. With just the right amount of shine and color, you'll certainly stand out this season with this beaded necklace and feathers.